Sony recently launched a whole plethora of DAP’s to the market in 2014 and 2015 show no signs of changing despite the shocking news that they are pulling out of audio and video markets shortly. The Sony NWZ-A17 is part of their smaller more budget conscious range of DAP’s but as Mike finds out there is a lot more to this DAP than meets the eye. At $299, Sony’s A17 performs incredibly well considering the size and feature set jam-packed into this little thing. It’s so cute and tiny, but like my 9-year-old cat, it has a serious case of primal ferocity under its skin…and I mean that in a positive way. The player is a minuscule 4.5 inches long, 1.75 inches wide, 0.3 inch thick, about half the size of the FiiO X series in all aspects. The player is also rock solid, offering full aluminum housing. It really gives off a nice high-quality vibe, something that feels well built and weighted. No case though, which saddens me. The A17 cannot be used as a DAC with your computer, which is something some higher quality DAPs lately have been able to do. I was also unable to confirm what internal DAC Sony has tossed in there, but it is almost indistinguishable from FiiO’s X3 in sound quality. It comes stock with only one Micro SD card slot and 64gb of onboard storage. As of the moment, I have a TFTEC SD to Micro SD adapter with a 256gb SD card. Punch that into the calculator with that 64gb on board from the A17’s internal memory and you get a happy face…my happy face. A solid 320gb of portable library goodness…yum. Truthfully though, it really upsets me that hardly any portable players offer a standard SD ( which are always cheaper and offer larger storage capacity over Micro SD ) but I really can’t complain if literally, EVERYONE ignores standard SD and how much more affordable and responsive they are. My 256GB card cost less than a 128gb Micro SD…and is literally 2x as fast with library scanning on pretty much every device I own that uses an SD slot. While on the subject of scanning media, the A17 handles 200gb or so of Flac files in about 5 minutes. By comparison, the FiiO DAPs require almost double that time period to fully update the media library. The player also uses a proprietary connector for charging and data transfer. The A17 only offers a standard 3.5mm output, no fancy alternate output types, sadly. From the Home screen, you can navigate to 12 different menus. Yes, 12 and by golly, they all are actually functional. Wudda’ ya know, a fully working product without a single defect, glitch or serious problem in the UI. Mad props to Sony for making sure the A17 was 100% from the get-go. The menu set includes MySense Channels, FM Radio (You kids remember what Radio is, right? ), Playlists, Pictures, Music, Video (Yes, this player does video as well), Bookmarks, Podcasts, Bluetooth settings, Settings Menu, SD Settings Menu and finally the Currently Playing Window. Phew. I’ve found that the Playlist functions are not as easily accessible as the Bookmarks window, which is another subset inside the primary Music menu. Below the screen lay two buttons, the Home/Back button and the Power Off/Options button. While a song is in play, tapping the Options button will open a very complex subset of optional sound settings. One of these is called Bookmarks and funnily enough there is no Add to a Playlist inside this menu. Bookmarks come with a set of 5 folders, of which I’ve no idea what the max capacity could be. I’ve a lot of songs in there, so I am assuming the data storage for each bin is fairly large. Anyway, simply selecting the Bookmarks option will place that song into Bookmarks 1-5, your choice. It works infinitely easier than Playlists, which I’ve yet to figure out and fully understand why it even exists if there is no way to actually add a song easily to “Playlists” on the home screen or in the Options menu. For some reason, after the player updates my SD card, it generates a randomized Playlist inside that weird Playlist menu. No rhyme or reason to anything inside of that, I’d not touched anything in that area but the player decided to toss a ton of music into it against my will. Stick to Bookmarks and consider that your “Playlists” function, instead of the actual Playlist menu that seems to be in a state of disrepair and in need of an update to fix it. I had about 4,000 songs in total on my SD card and the A17’s Internal Memory, but it was registering more than 8,000 available. I’d noticed that in the Albums window, some tracks on the device were listed twice. I’ve not found a way to fix this. Tracks are not doubled up on the SD card, but they are doubled up once it plays through the A17. Weird, because the storage size doesn’t alter. 200Gb on the SD card, 200Gb on the A17, yet most of the songs are listed twice. Once inside the Options menu, you have all of the following subsets: Play Mode, Playback Range, DSEE HX, Hi-Res Audio Effects, Clear Audio+, Sound Settings (EQ), Dance Karaoke/Lang, DPC (Speed Control), Display Lyrics, Detailed Info, Set An Alarm as Song, Send File, Remove from Bookmark. Playback Range will loop a specified section of a track, which is awesome for musicians who want to learn an awesome guitar riff and don’t want to continuously fast forward and rewind the track to a certain spot. The rest of the basic functions are as expected, so I won’t detail them. Hello. I’m almost set on buying the A17 but I do have one question. It is very important to me that the player can store all my music library (currently 155 GB and always expanding) and I was pleased to read about your use of an SD card with an adapter and thus expanding the final capacity to 320GB (!). However, the player specs say that it can accomodate a microSD card up to 128GB. If it is possible to go beyond that, why wouldn’t Sony use that information to their advantage? My concern is this: would it be a problem if I tried to expand the player’s memory beyond the advertised 192GB? You seem to have done it with no quarrels but I just wanted to make sure. Thank you for the amazing reviews. 200gb micro SD cards are now available, I’ve a Sandisk 200gb micro sd and it works perfectly as it normally would. Most companies were more than likely aware a 200gb micro sd was on the way but probably didn’t want to tell people it could handle 200gb. Companies that large dont care about rewriting specs to keep current or up to date, once that box and label art is done, its done and the odds of them editing their products descriptions are extremely low. Currently, the 200gb micro sd’s are actually around what you’ve stated, more like 192gb or something. So that combined with the internal A17 memory would give you closer to 250gb total. With a full size to micro sd adapter, the track listing limit is really the only potential thing that could limit how many songs the player will let be read. Some players actually have a pre built in track quantity limit, but I am not sure if Sony’s would be low enough to matter. As mentioned if you can get creative and get the full size sd to micro sd adapter to stick ( I literally taped mine to the body of the A17 ) then you can achieve 560gb or so right now. Sandisk has a 512gb full size sd, so that + the internal A17 memory puts out half a terabyte or so of storage. The problem is the time it takes for the player to read that amount. Some players are sucky with it and take forever to load up, some are fast. Also, the sd to micro sd adapter has no locking mechanism on the micro sd end, where real micro sd cards will click into place and hold in there. The sd to micro sd adapter cannot do that and it can slip right out. So, you need to get more creative and find a way to not only strap the entire adapter to the player, but also wrap something around the cable to keep the micro sd end wedged into the player ( I used a rubber band ). Thank you for the quick reply. I will definitely reconsider now, based on what you’ve said, since I really don’t care much for the “superficial” aspects of a device. I’ll check it out and probably come back with more questions, this time for the DX90. Cheers! Absolutely, always around to help. Subjectively, I can’t get over the DX90. It is the best all arounder I’ve come across for portable music players. Even with the stock firmware, the experience is lovely. Rockbox will permanently stay on the player and I’ve never been able to remove it. Once added, you’ll be able to choose which firmware you want to load, either the stock OS or Rockbox. 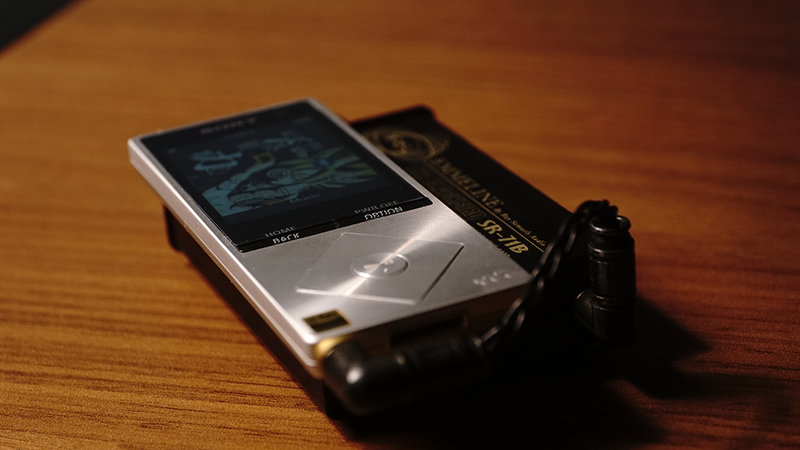 When the player is off, flipping the lock screen button up and pressing the power button will boot the player on and take you to a screen that shows a picture of the stock OS and the Rockbox OS. You simply touch which you want to load and use. I really only use the stock OS for USB DAC usage, so when I am not using it as a portable device and want to use it as my computers USB DAC instead, I load up the stock OS, as rockbox doesn’t allow the USB Dac function on the DX90 to be used. For portable needs, Rockbox is just so god damned great and there are so many options to play with, that it might seem scary and daunting. But, I’ll help with that if you do decide to try it. Just know that if you do it, you can’t remove it and it will absolutely void your DX90 warranty. But, it really isn’t a big deal because as mentioned if you don’t like it, just don’t choose Rockbox’s OS when you boot on the player. The DX90 will remember the last OS you’ve chosen, so you can avoid Rockbox indefinitely if you prefer. If you boot to the stock OS and use it, then power off the player, it will auto boot to the stock OS the next time you turn it on. So long as you don’t flip the lock screen switch up while the device is off, and then press the power button, you’ll boot up automatically to whichever OS you were using the last time before you shut it off. Nice review. Can you advise how you search for particular music e.g. can you find an artist and play just their songs? Other search functions? Thank you! You can only search via standard lists like Album, Song and Artist. This dap doesn’t support a text based search function or anything like that sadly. I’m looking for a dap, but not able to audition them side by side. I am looking to the Ibasso 50 or this sony. 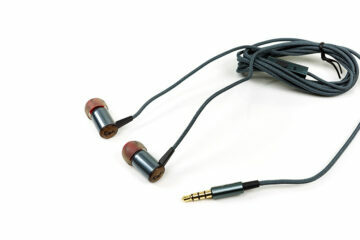 The thing is, I will use it to with a grado allesandro ms1. Is the extra money for an Ibasso worth the cost with this headphone? I really like the sony for usability, and the Ibasso for its digital out and form factor. Any advice would be appreciated. Great site by the way! I’ve just discovered a truly terrible thing about the A17 today. To get a playlist, you need to download Media Go, which is Sony’s media manager software. I’d noticed that when you remove the sd card from the A17, you lose all the bookmarks. The only way to get Playlists is to import your entire library to the Media Go software and make sure your A17 is set to SD card mode in settings. If not, the SD card will not appear when you plug it into your pc. Problem is, you need a separate hard drive if you don’t have enough space to double up your entire library. IE: You have a 256 gb SSD with 210 GB of music and all your operating system and programs. You’ll have to install Media Go to another hard drive, it cannot be the same one that already has all your music on it. Why? Because Media Go requires you to import the entire library and in doing so will duplicate each file. You’ll have your normal music folder that you might use with Foobar2000, and now you will have an exact opposite just for Media Go. Awful, but its mandatory. To avoid that, you’ll need an entirely different hard drive, install Media Go on that instead of your primary drive. Users with small hard drive space will need a second hard drive. I have a 256GD SSD. I have 210gb of music stored on my SSD along with my Windows 7 programs. So, I will have to get a new HDD. If you have a large Hard drive, you won’t have to worry if you can double your music collection and not worry about space. I use my A15 a lot more than my ZX-1. Great review, Michael. By the way, where can I buy the TFTEC SD to Micro SD adapter? Can you provide some links? Thanks George! I’d only briefly heard the ZX1 and it sure did sound noisy, lots of static and hiss. Here is a link to the adapter, If you do buy, I highly recommend buying more than one as a backup.